Who are the Boomers, Gen X, Gen Y and Gen Z? It’s important to understand what makes your customers tick. What motivates them, how they shop, and what technologies and platforms they use in the day-to-day of their life. Demographics has a powerful influence on all of these factors. Most of us have some understanding of customer demographics and why they are important but with today’s technology changing at such a rapid pace, the pervasion of social media platforms in this space, and the status of email marketing shifting, it’s important to take a fresh look at age group characteristics and what really matters. Each generation label encompasses their attitude, motivations, and historic events. Few individuals self-identify as Gen X, Millennial, or any other name. A common reason for confusion when labeling generations is age. Generational groups are defined by birth year, not current age. The reason for this is that as people age, their life stage changes. For example, someone in the Gen X group who turned 18 in 1998 would now be nearly 40 and their focus will be on different issues as well as being receptive to different marketing messages and platforms. So, to keep it simple, regardless of age, people will always belong to the generation they were born into. I hear you asking – where are the Millennials? The term “Millennial” has become the most popular way to reference both segments of Gen Y (24-38 years old). Now with the technicalities sorted, lets dig a little deeper into the habits and profile of each generation! In terms of media consumption, Baby Boomers love traditional media like television, radio, magazines, and newspapers. However, they do dip their toes into the world of social media as demonstrated by the fact that 90% have a Facebook account. Surprisingly, focusing on creating content for Facebook is the best strategy to reach Baby Boomers. According to a survey conducted by Olapic, 90% of Baby Boomers prefer Facebook over Instagram. They also are shown to be adopters of the technology now available to them with the majority of Baby Boomers now preferring smartphones and tablets over laptops. 73% of people age 50-59 and 54% of people age 60-69 own a smartphone according to an AARP study. Baby Boomers are well-educated and experienced but when it comes to using abbreviations and technical terms, either avoid them or consider explaining them to ensure your messaging is not lost in translation. Hashtags are also to be avoided if targeting this group because 50% of Baby Boomers admit to never using hashtags. Like Baby Boomers, Gen X still reads newspapers, magazines, listens to the radio, and watches TV. However, email is Gen X’s primary means of messaging, and they check it frequently. They are digitally savvy and spend approximately seven hours a week on Facebook and love using YouTube, notching up 1.5 billion views on this platform per day! The Gen X segment prefers short, concise copy which is transparent and honest and they respond well to loyalty programs. Unflatteringly described as “sandwiched between the wealthy, retiring Boomers and the more diverse, more liberal Millennials,” Gen X is currently at its prime and is a very loyal segment that can provide ample reward if engaged. 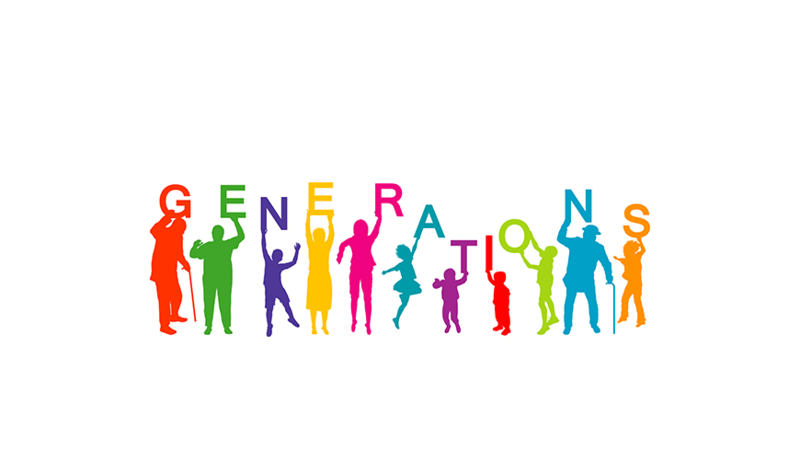 Gen Y, or the Millennial group, are also referred to as Gen Me, Gen We and Echo Boomers. To add further insult, they are then split into two groups! Why? The reason for this is that the groups are both culturally different and in very different phases of their financial life. The younger group will have significantly lower incomes and are “just flexing their buying power”. The older group has a more extensive credit history and may have their first mortgage. As such the two groups have contrasting priorities and needs. Marketing to them as a single segment will not be nearly as effective as dividing them up and segmenting your strategy and messaging. In terms of media consumption, 95% still watch TV, but Netflix is more prominent than regular TV. This generation is extremely comfortable with mobile devices but 32% will still use a computer for purchases. They typically have multiple social media accounts and are active on all of them frequently. The Gen Y group uses email heavily in a way that impacts all aspects of their lives including work communication, financial alerts, travel confirmations, social notifications, and promotional emails. Due to the immediacy of emails on smartphones, this is a very effective way to reach them because they have it with them always, and they check it constantly. The key to their heart and their head is providing a consistent experience across multiple platforms due to their combined use of desktop and mobile devices. Not yet widely used, Gen Z is a place-holder for the youngest generation up to approximately 23 years of age. The name is likely to change as this group leaves childhood and matures into teenagers and adults. This may signal the end of the ‘alphabet soup’ – fitting considering it’s the last letter of the alphabet. A number of potential labels have appeared across the globe including Gen Tech, post-Millennials, iGeneration, and Gen Y-Fi. In terms of media consumption, Gen Z has never known a world without smartphones and it has been reported that in the US the average “Gen Zer” receives their first mobile phone at 10.3 years of age. Add this to the fact that many of these children have grown up playing with their parents’ mobile phones or tablets. Their reality is a hyper-connected world, and the smartphone is their way of tapping in to it. On average, they spend at least three hours a day on a mobile device. Email marketing is still an effective tool for reaching Gen Z, given that email addresses are required to create social media accounts. This being said, smartphone use continues to grow and it is crucial that email-marketing messages can be accessed, or are even tailored, for mobile and tablet viewing. Marketers must use responsive design to make sure emails are easily viewed on mobile devices. Those that do this will get 24% more clicks with a 55% higher mobile click-to-open rate. In order for marketers to build meaningful connections with Gen Z in the future, they need to understand that this group are more culturally, environmentally and socio-economically aware than any of the groups mentioned so far. Gen Zers have a shorter attention span than most but are willing to support a brand if they feel it is authentic and if they are aligned with what the brand stands for. It has been reported that Virtual Reality (VR) “is the next frontier” for building authentic brand experiences, particularly for Gen Z. Through this technology, marketers can explore more immersive, connected relationships with consumers. The expected statistics talk for themselves. 8.1 million virtual reality headsets were shipped to consumers in 2016. It is predicted that this number will grow to 60 million headsets by 2021. This reflects an increasing interest and use of this technology, especially by this generation, and will require careful consideration and execution in its brand messaging to hit its intended target. With this refreshed understanding of the demographic alphabet of the marketing world, and what pushes each groups buttons from a marketing perspective, it is possible to be smarter with targeting both messaging and media platforms to each segment of the soup. And as we all age, it is crucial that marketers keep in touch with how technological changes are impacting the preferences for these groups so that old assumptions do not become outdated. Watch this space! Jo is a marketing and communications professional with over 20 years experience in a variety of roles, including sales, marketing, analytics and business development. She has worked in a number of areas within the healthcare industry, including pharmaceuticals, executive health, healthcare consulting and the fitness industry. These roles have been within Adelaide, interstate and international including working for organisations in the US and Canada.